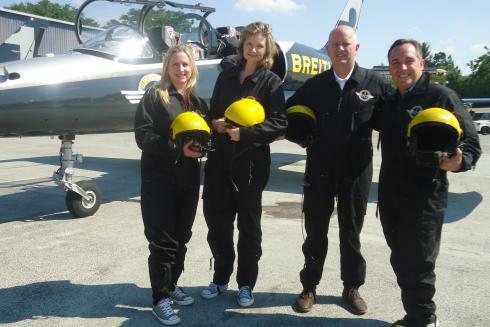 Lindsay Paterson from our Centigrade Los Angeles office was recently in Dijon, France supporting client Breitling and the Breitling Jet Team, the world’s largest and only Civilian Jet Team, at their homebase. 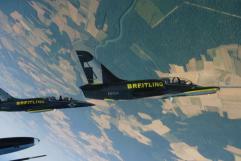 With the Breitling Jet Team set to perform for the first time ever in the United States in, Lindsay supported planning meetings on-site to discuss operational logistics and coordination. 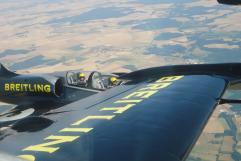 As the public relations agency of record for Breitling, Centigrade also helped create a strategy and overview around the Jet Team tour in the U.S. to help garner additional media impressions for Breitling and solidify their position as the authentic partner of aviation, which was presented in Dijon.